Our traditions are a major part of us. They help to shape who we are. Indeed, when it comes to the hunting lifestyle, they are at the very core of what we are. From Left to Right, Noah Wagner, Sophie (A Braque du Bourbonnais breed) and Hunting Guide, Tom Floyd of Omaha, NE. Photo by Greg Wagner. The wild places, the game animals and birds we seek, how we do that, when we do that, and with whom we do that, all sculpt our outdoor lives. 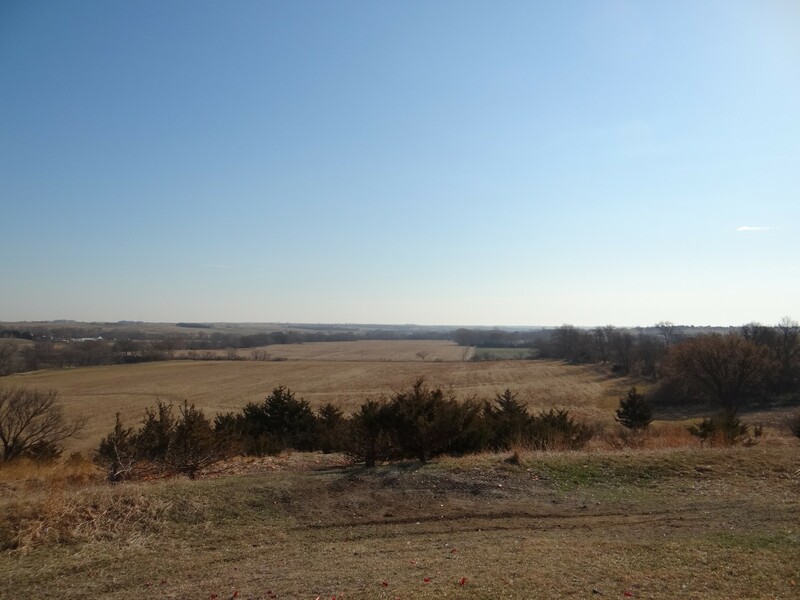 View of the countryside from Sporting Clays Course at Oak Creek Sporting Club near Brainard, NE. Photo by Greg Wagner. Whenever I think about creating a new hunting tradition I always find myself in kind of a quandary. The word tradition really isn’t about the new, it’s about the old, isn’t it? Or, is it? Tradition is defined as an inherited, established, or customary pattern of thought, action, or behavior passed down through the generations. Me with young Noah Wagner and his first rooster pheasant. Photo by Andre Shousha. Those of us who passionately love to hunt, have one thing in common. We had someone who instilled the tradition of hunting within us. We had someone who introduced, mentored and repeatedly took us into that outdoor world. We did not get it merely by osmosis. 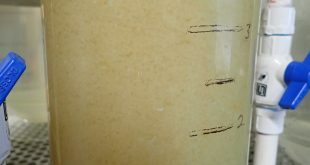 It took a dedicated, responsible, trustworthy adult, most likely a parent, grandparent or guardian, who had the desire, made the time, and possessed the patience, knowledge, skills and know-how to keep showing us the wonders of our natural resources and where we fit in the cycle of life. Think back. Do you remember who repetitively took you on your outdoor adventures? 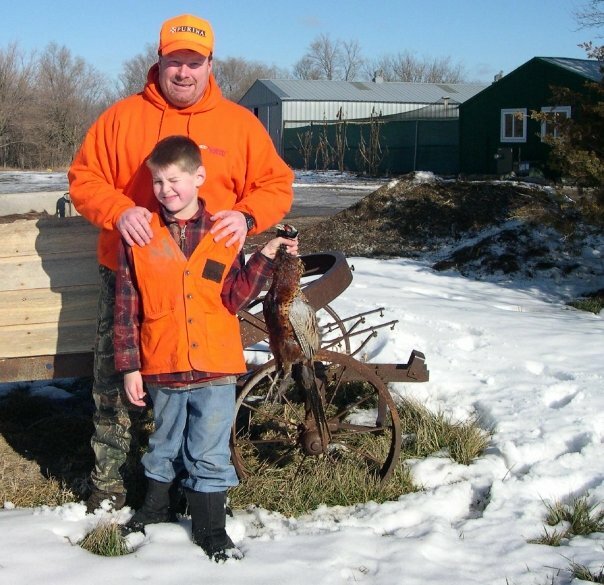 Research shows that if a youngster is not exposed to hunting in his or her childhood or teenage years, they probably won’t pursue it as an adult. It is a unique atmosphere now for teenagers in our great nation. It’s a fast-paced, digital, instant, primarily indoor society for them. It’s filled with rapid technological advances and distractions. It’s very competitive, too, both academically and athletically, with club sports and similar activities occupying many hours of their time, even at young ages. All of this has certainly crimped the leisure time available for young people. Truthfully, is has made it much more difficult to continue the hunting tradition in a family of hunters. As adults though, we need to be flexible with our schedules to take advantage of any annual windows of opportunity that these busy young people in our families have in order to fulfill a request, get them outside and establish a hunting tradition. From a personal perspective, and for the second consecutive year, I practiced what I have preached. 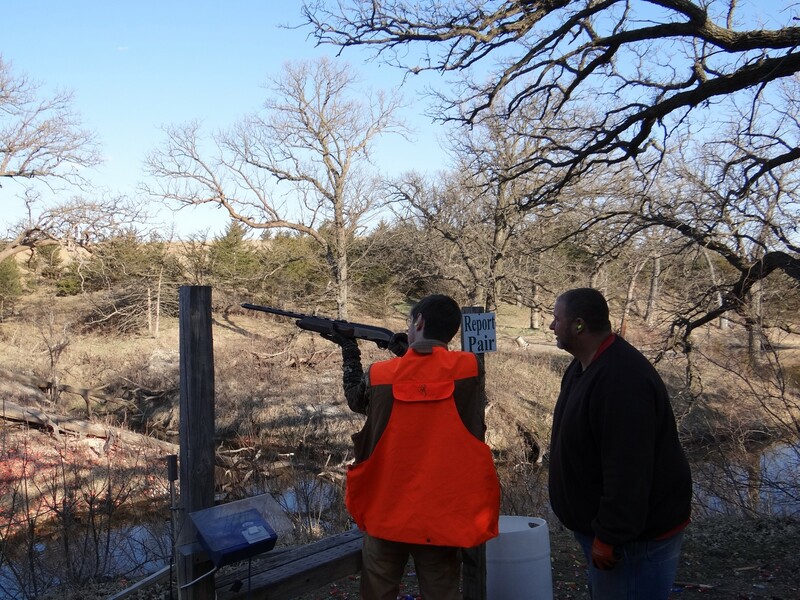 During his spring break from Omaha’s Creighton Prep High School, my 18 year-old Son Noah, a senior, wished to hunt. 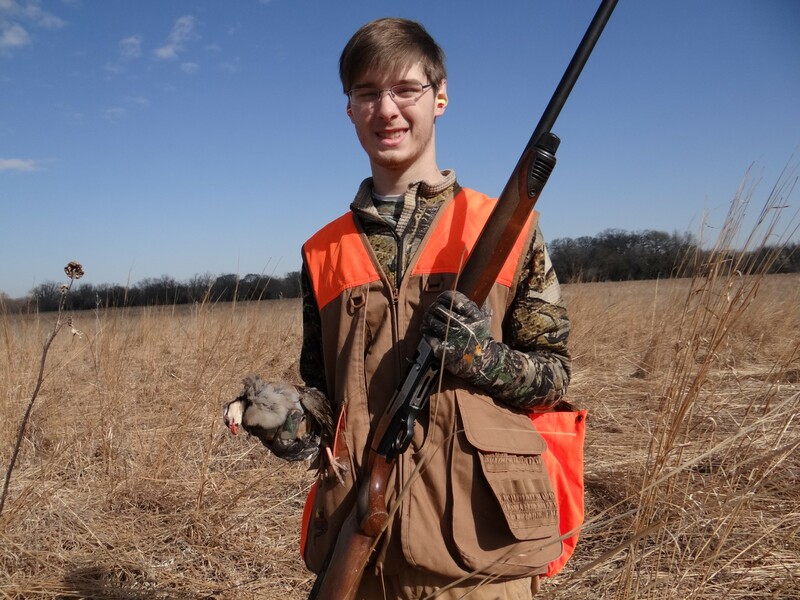 Like last year at this time, he wanted to go to the Oak Creek Sporting Club near Brainard, NE, which is a licensed Controlled Shooting Area (CSA) or hunting preserve, to shoot sporting clays and pursue upland game birds. I cleared my schedules and arranged it. Once again, Noah had a blast! Noah shoots sporting clays at Oak Creek Sporting Club under the watchful eyes of Terry Kriz. Photo by Greg Wagner. 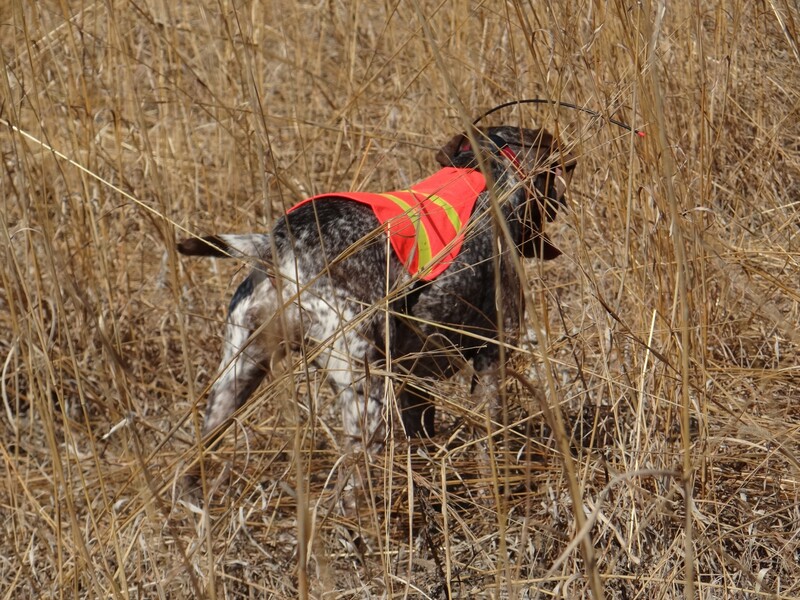 Upland game bird hunting at Oak Creek Sporting Club. Photo by Greg Wagner. Noah tells me that he gets much enjoyment out of watching a good hunting dog like Sophie work. Sophie points a chukar. Photo by Greg Wagner. Sophie on point. Photo by Greg Wagner. 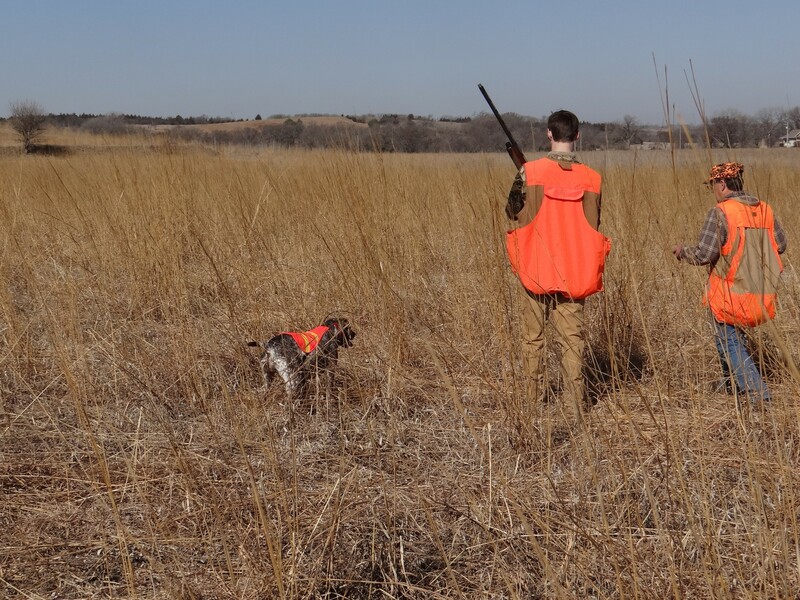 Don’t forget about today’s modern CSAs or hunting preserves located throughout the state because they offer much to the young outdoor enthusiast. Sure, there is a fee involved, but the money is well spent! 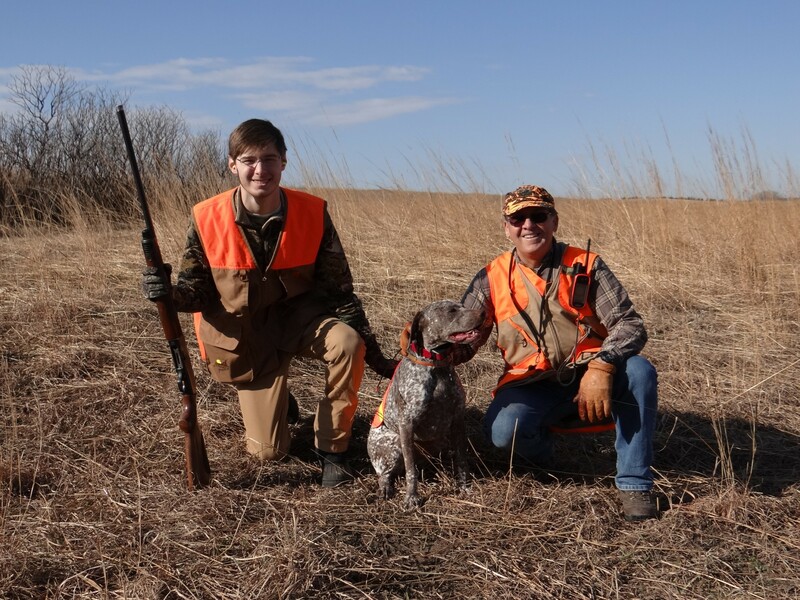 Most CSAs have an array of fun shotgun target shooting opportunities, top notch shooting instructors, good wildlife habitat, hard-flying upland game birds, experienced hunting guides and dogs, and a wonderful beginning-to-end-of-the-day outing. Plus there will be nutritious wild game meat to take home for the dinner table! Noah displays a chukar he had just harvested on an upland game bird hunt at the Oak Creek Sporting Club. Photo by Greg Wagner. 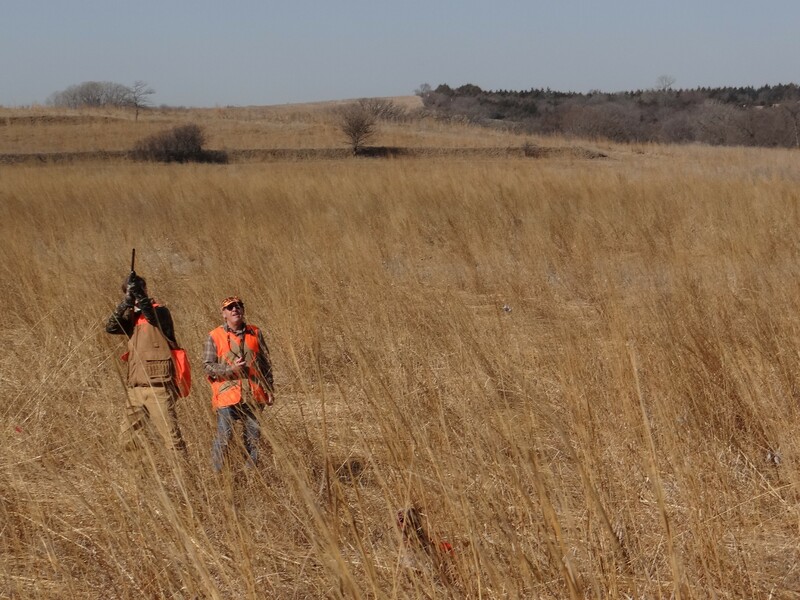 In Nebraska, the current CSA upland game bird hunting season runs from September 1 – March 31. Noah says that he and I have created a new tradition of hunting. Rather, I say that we have maintained the one we started! We are both right! An outdoor tradition of hunting is one of the most beautiful ideologies we can produce and foster as humans. There is no cookie cutter outline for what it should look like, who you should share it with or how it should grow over time. Take a look at some video I shot of Noah’s upland game bird hunt at the Oak Creek Sporting Club. The tradition of American hunting pre-dates the arrival of European colonists and remains one of the few practices that truly belongs to your family and close friends. It allows you to cherish the priceless memories developed with your loved ones over the years. If you hunt, let me ask you this: What sort of hunting tradition will you create and maintain with the youth in your family?